Sometimes our experience and capabilities can help out others in unexpected ways. A member of our community has a health condition that required the use of a colonoscopy bag. Each time a colonoscopy bag needs to be changed the resident must to precisely cut a hole in each new bag to fit their stoma to maintain good hygiene. Unfortunately, the resident was only given a flimsy cardboard template to cut each new colonoscopy bag, making it nearly impossible to routinely and precisely cut the necessary hole. 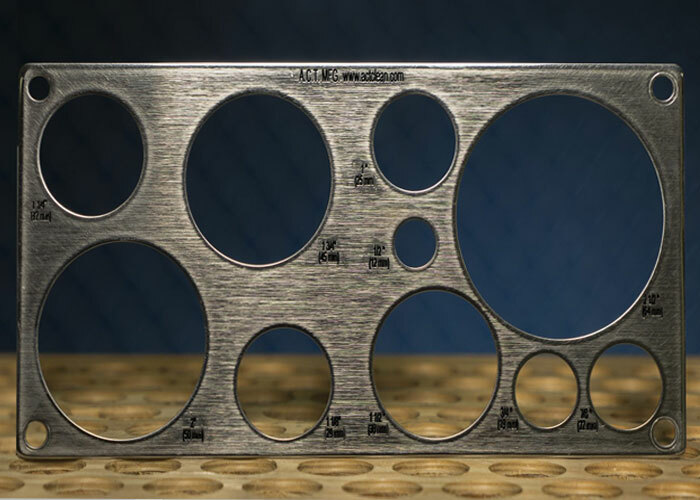 ACT went to work and made a custom medical stoma template made with stainless-steel for the resident. 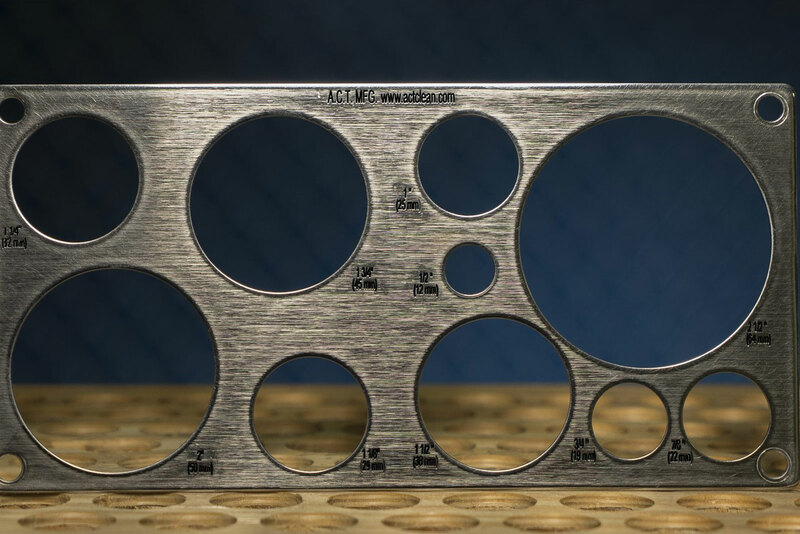 Durable enough to be used for many years, ACT’s metal template has engraved measurement indicators and the rigidity needed to help the resident make precise cuts every time. While the design and fabrication was simple, the benefit to the resident was profound, making a difficult part of life substantially easier. Automated Cleaning Technologies (ACT) specializes in designing and fabricating purpose-built industrial parts cleaning systems that offer cost-effective, high-performing, environmentally safe solutions for our customers. ACT has a fully staffed engineering and fabrication team that work with customers to develop custom cleaning solutions for their unique operational requirements. Our design and engineering capabilities are bolstered through modern 3D and 2D software, including SolidWorks, MasterCam and AutoCAD. Advanced programmable fabrication tools and skilled craftsman bring our engineering blueprints to life by manufacturing units in our modern, clean and safe facility in San Antonio, Texas.